Interstate 89 winds east across the scenic Green Mountains between Burlington and Montpelier through central Vermont. Photo taken 10/06/14. 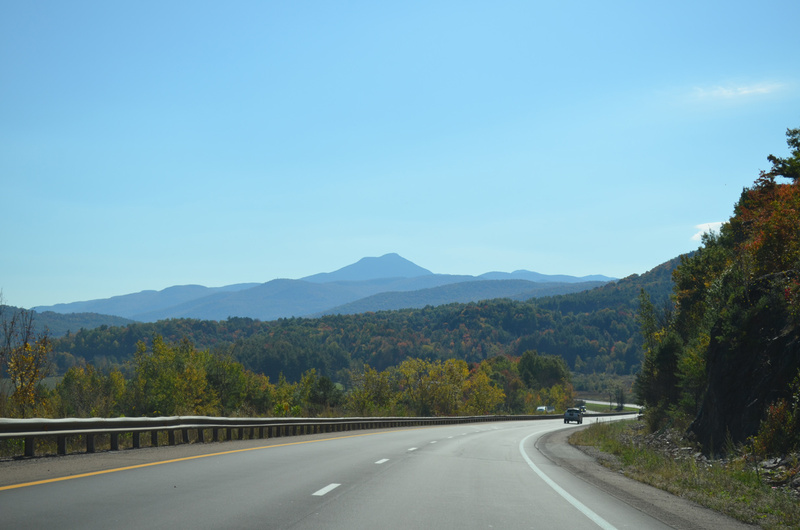 The Vermont Interstate system opened initially with a stretch of I-91 north from the Massachusetts state line to Brattleboro in November 1958. Completion of the system was delayed until October 1982 when the 11-mile portion of I-93 in the Green Mountain State opened. Looking at the split of the Kennedy Expressway (I-90) from the Edens Expressway (I-94) outbound from Montrose Station on the Blue “L” Line. Photo taken 08/09/09. Transit stations lining the median of an Interstate highway is not unique to just Chicago. 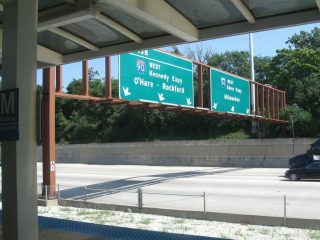 Stations also exist between the roadways of I-795 in Maryland, I-66 in Northern Virginia and Interstate 95 in Philadelphia.